For the sixth single of Last Idol, ALL the girls get together to for the super unit. In a concrete form campus, the girls march in unison and hit their upper body choreography. 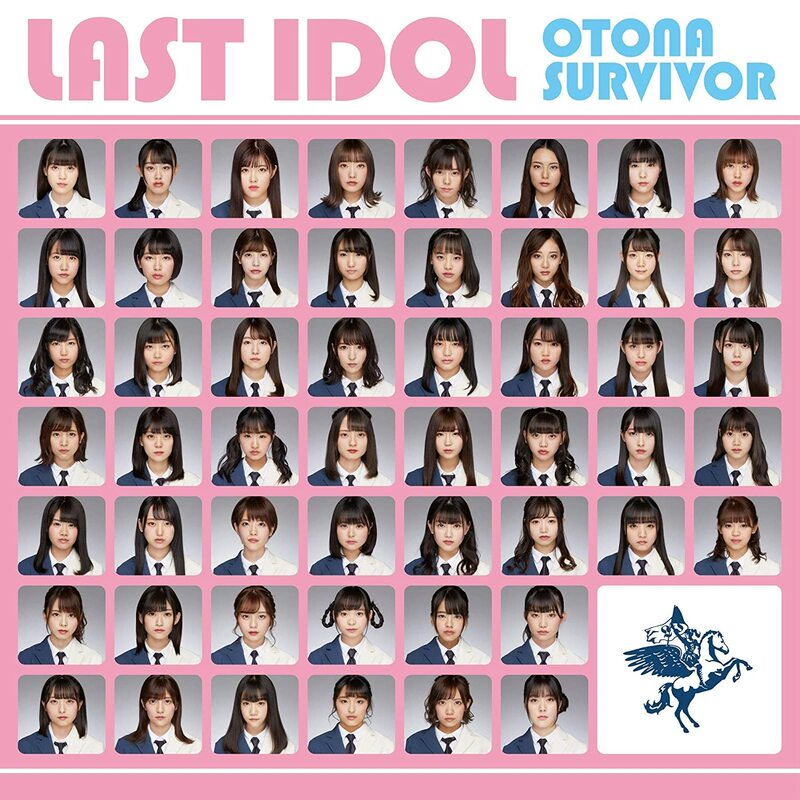 On the sets of “Otona Survivor”, rust stains drip down chaotically from the rooftops of the school to highlight the precise movements of the unit who seem to move as a single unit. You’ll find the Last Idol girls on the stairways and the corridors in their blue and white uniforms. 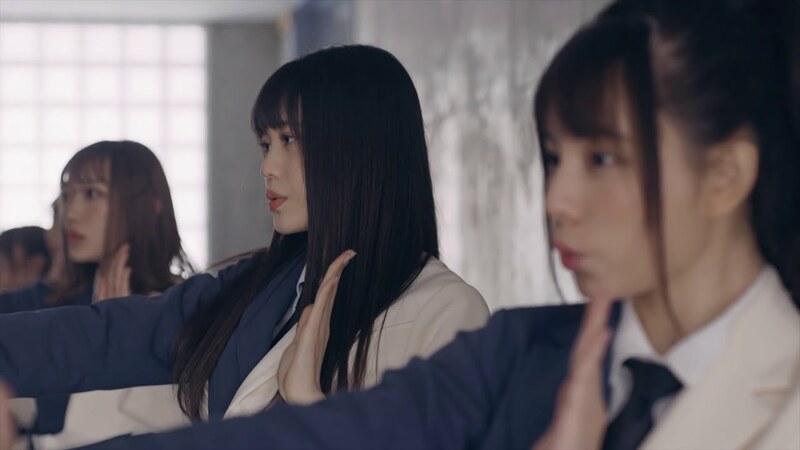 Other shots of the girls in school blazers give us the impression the the campus student body has been assimilated into the collective like an invading Borg force taking over a derelict starship. Last Idol eventually bring their game outdoors, where drone shots capture the formations from overhead. 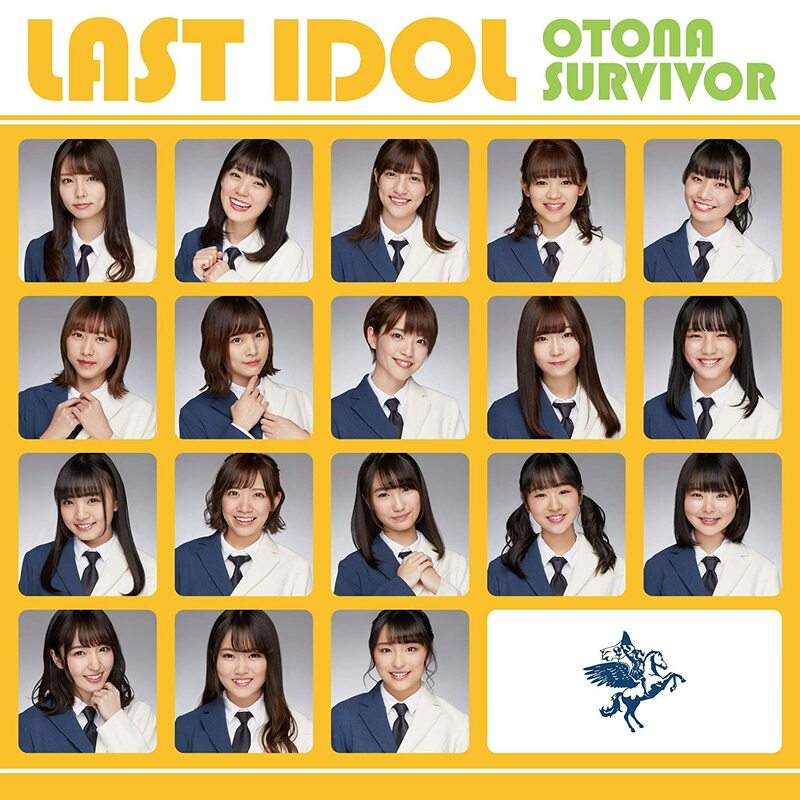 “Otona Survivor” is an amazing act of unification from which the girls run in the PV’s closing shots. 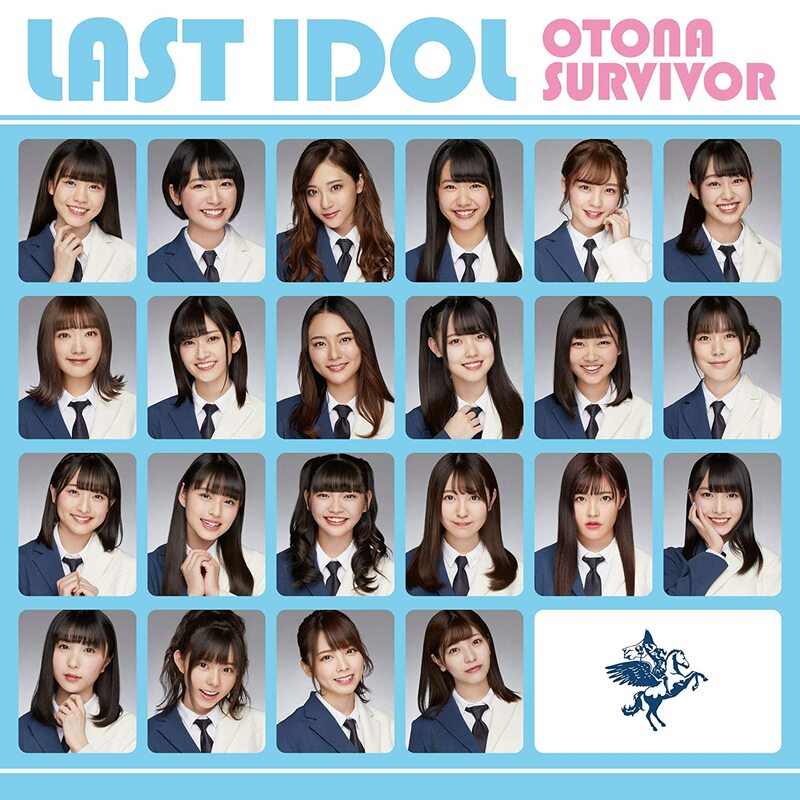 You can buy “Otona Survivor”, the sixth single from Last Idol, in stores on April 17, 2019. “Last Idol (ラストアイドル)” is, TV Asahi series first broadcast on 2017 August 13 the idol group born from that show. 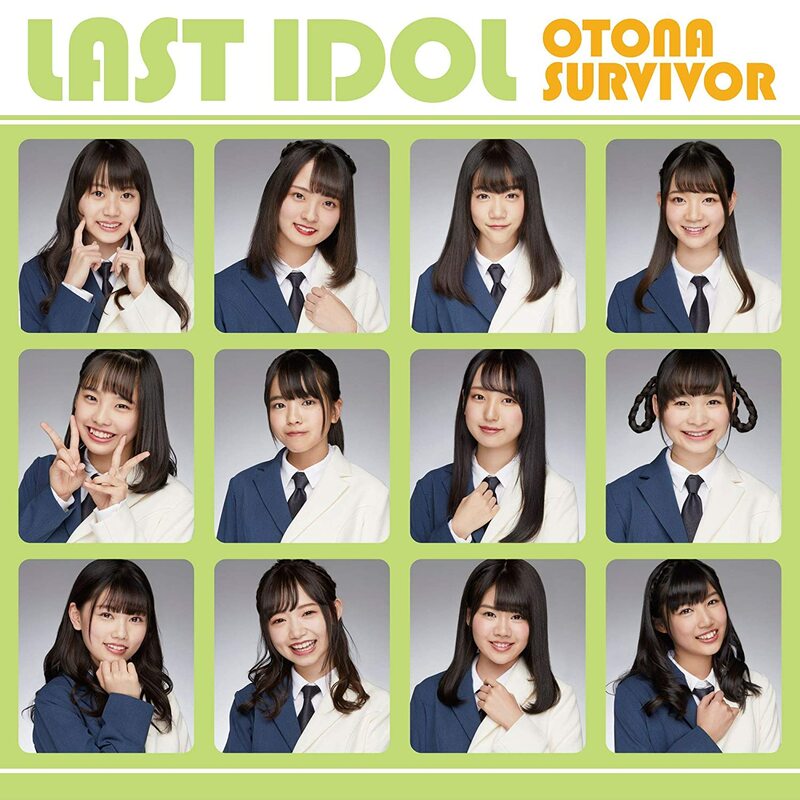 The Last Idol television show took auditions from girls from 14 to 26 years old no matter whether she was a professional idol or and amateur. Initially, the show conceptualized selecting 7 winners to form a group, release their own CD, and participate general idol activities. Those made it until the end (debut) would have a concurrency with her own group (if necessary). Since then, Last Idol has evolved to include the participants in a number of sub groups. The Last Idol idol group is now divided into the units LaLuce (formerly the eponymous Last Idol), Good Tears, Choux Cream Rocket (シュークリームロケッツ), Someday Somewhere, and Love Cocchi.